DOVER, Del. (CN) — Gun enthusiasts are applauding the Delaware Supreme Court for throwing out a law that bans firearms in state parks and forests. “The right to self-defense is a God-given right and the court’s decision confirms that right,” said Jeff Hague, president of the Delaware State Sportsmen’s Association. Representing 1,500 members and more than 5,000 members who belong to gun clubs in other states, Hague’s group brought the underlying challenge alongside the Bridgeville Rifle & Pistol Club, of which Hague is the treasurer. The were represented by the Wilmington firm Eckert Seamans Cherin & Mellott. 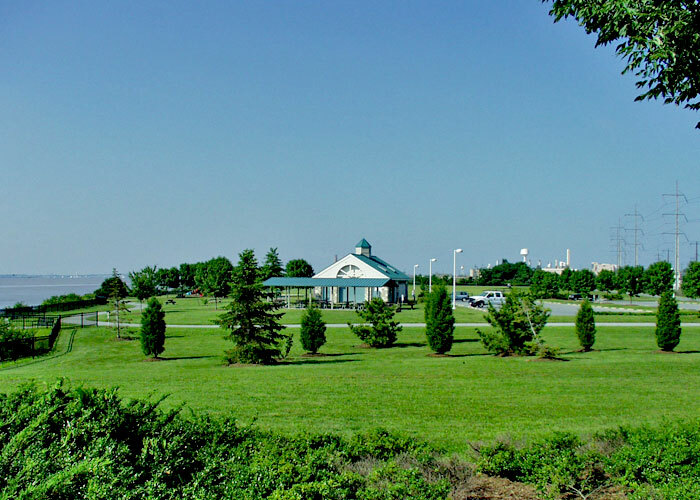 Discussing the case in an interview, Hague noted that some of his group’s members prefer to stay in state parks when they attend events that the sportsman’s association hosts throughout the year, but risked violating Delaware’s law. Even police officers and others with valid permits to carry were barred from bringing guns into state parks, Hague added. “We thought that was totally unreasonable,” he said. Hague called the ruling a win both for in-state residents and hunters, and also for those out-of-staters who utilize the state’s parks and forests. Though the Superior Court had sided with the state, the en banc state Supreme Court reversed that ruling, 3-2, on Dec. 7. Attorneys for the state failed to demonstrate that public-safety interests justified the prohibition on guns in state parks and forests, except for regulated hunting. While the lead opinion clocks in at 48 pages, the dissent by Chief Justice Leo Strine is nearly twice that length. Joined by Justice Collins Seitz Jr., Strine called it unusual that his colleagues found justification for their reversal in Article 1, Section 20, of the Delaware Constitution,. Despite having only been enacted in 1987, the amendment is being used now to cast aside a 40-year-old ban against guns in state parks and the 14-year-old policy of the Delaware Department of Agriculture prohibiting firearm possession in state forests. “Neither the enactors of Section 20, nor anyone in Delaware, recognized that Section 20 affected the state’s ability to regulate firearm possession on its own land until the appellants filed suit twenty-eight years after Section 20’s adoption, inspired by federal decisions interpreting the federal Constitution,” Strine wrote. Eckert Seamans attorney Francis G.X. Pileggi said meanwhile that the lead opinion got it right. “The majority opinion confirmed that Article 1, Section 20, really does mean what it says: that is that the right to bear arms does have applications outside the home,” Pileggi said in an interview. A local news outlet, the News Journal, quoted state officials as saying they are reviewing the ruling.